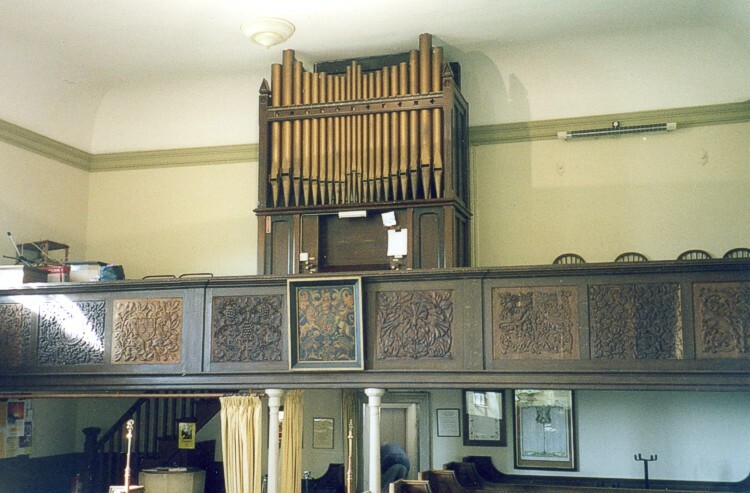 The organ was installed in 1903 by Norman & Beard of Norwich. Although it has their engraving on the stop knobs and some N&B pipe-work within it, it is clearly made up from an earlier, 19th century organ. External casework to be of pine. Front pipes stout v.m.zinc, left bright. Certain good secondhand materials to be incorporated. Structural alterations (if any) not included in this estimate. Price:- £150. Terms of payment:- £75 on delivery. £75 when ready for use. Mrs Carr, Rempstone Hall, Loughborough, Leicestershire.